Despite being a lot of work this autumnal 2010 offering to Fergal Smith’s quiver was an absorbing project. 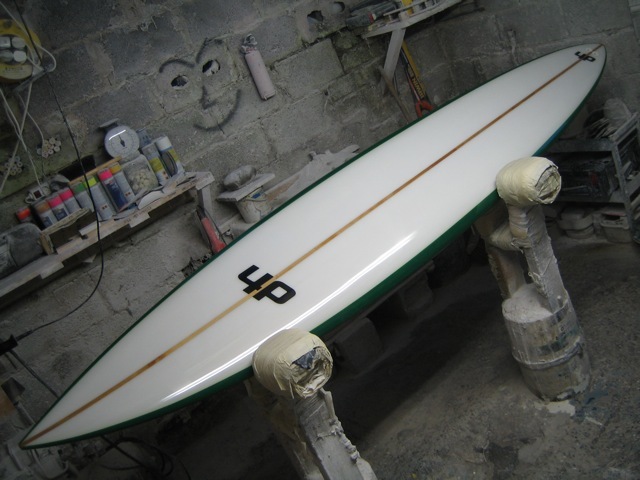 Having made a 7’8 and a 7’3 for him to run in the pocket under the cliffs, this beast was made to paddle the wide peak at maxing Aileen’s. It has not been used in anger yet so still not sure how she will go, but the lines feel right. The fin set-up, below, was put together using all available resources. 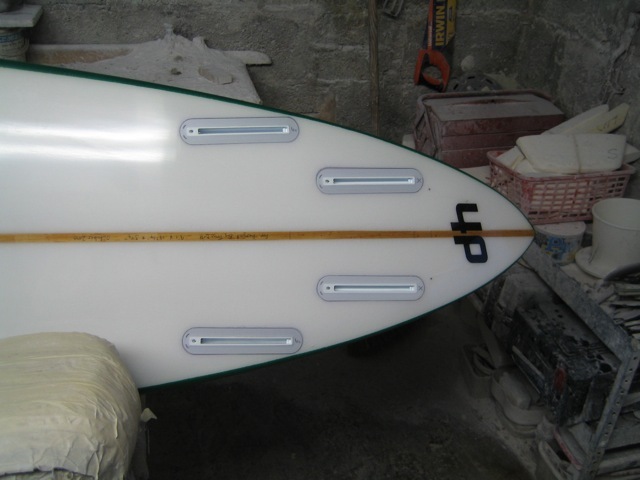 This included current quad experience on bigger boards, trawling the web for ideas, shameless tapping of Fergal’s heavy wave contacts and most importantly drawing on Ferg’s intuitive feel for these things.